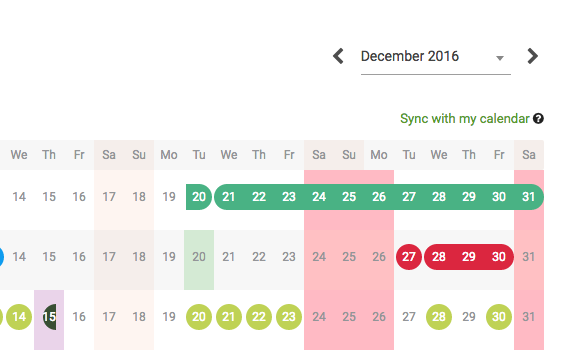 Synchronising your CakeHR calendar with Google is a great way of seeing who is off and when against other business appointments. Towards the top right of the calendar, click "Sync with my calendar"
4. You will then be taken to authorise your Google Account. 5. Once authorised, CakeHR will push new and updated events from CakeHR to your Google Calendar. You're done! You will now see all pending & approved requests. Any changes in time off will be automatically pushed to Google Calendar.